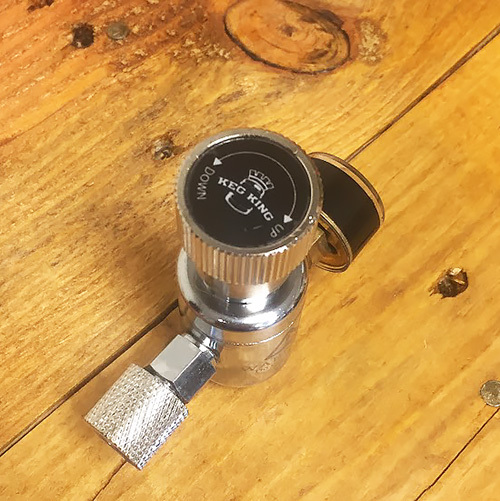 The Keg King Mini CO2 Regulator allows for the easy dispense of your favorite brews on the go using 16 gram threaded CO2 cartridges (not included). 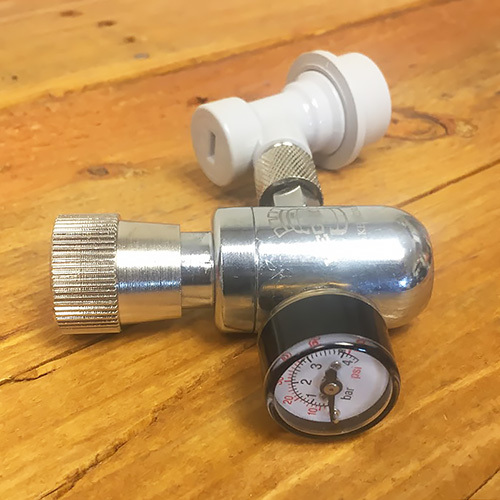 Simply attach the regulator to a threaded disconnect, insert a cartridge, connect to your keg, and set the serving pressure. No more manually injecting CO2 or wasting beer with hand pumps! 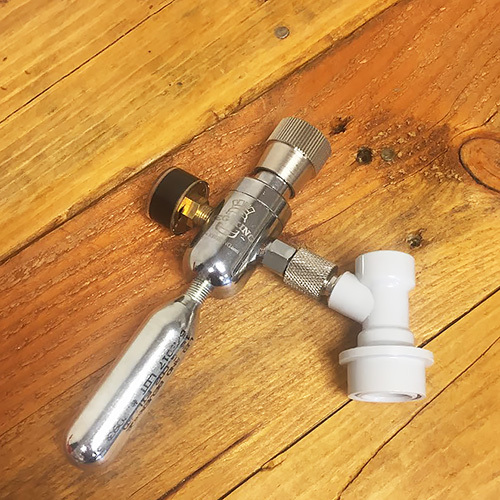 This regulator makes it easier than ever to take a small keg of homebrew to a party or BBQ. 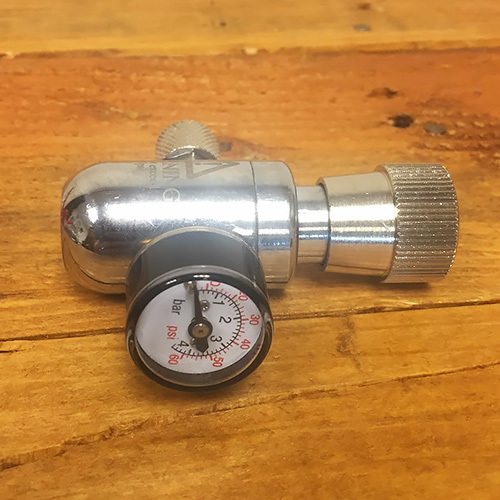 NOTE: Mini CO2 Regulator does not come with threaded 16 gram CO2 cartridges or threaded gas disconnect and are shown for illustrative purposes only.